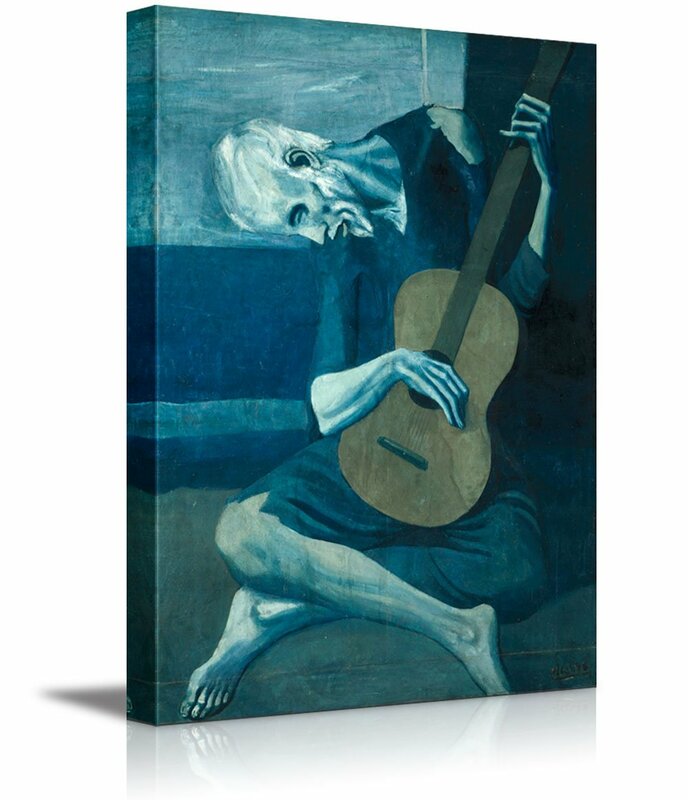 wall26 - The Old Guitarist by Pablo Picasso - Canvas Art Wall Decor - 24"x36"
I'm a musician and this picture is an homage to guitarists-young and old! It looks great hanging on my bedroom wall. Bought for our son he love it , wanted me to paint one for him , but found this on amazon just the right size and price ! Seriously, for the money paid, how can anyone complain? Arrived well protected and true to description. I like it. This is very pretty. Nice colors. Nice image. I love it. I received it in a matter of days, and it is a rather large size. Will use this company/service again. I play a little guitar, and my theme is mostly blue in my apartment, so this was perfect above my bed. LOVE LOVE LOVE! Beautiful painting, looks amazing in my office. The colors are just as beautiful in person and I'm in love.